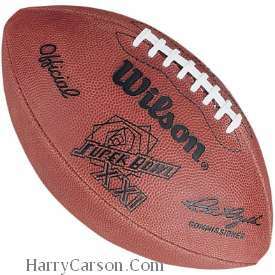 This Wilson Official NFL leather game ball is the same ball that was used in the Super Bowl 21 NFL game played on January 25, 1987 at Pasadena, California. 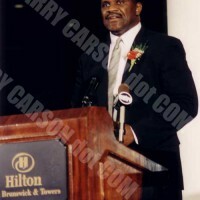 Personally autographed by Harry Carson. 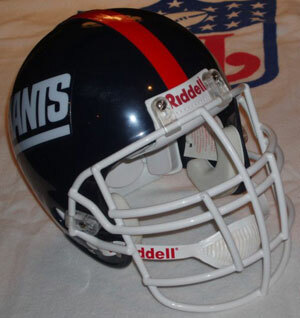 This Authentic "Throw-Back" Riddell Giants helmet from the 1980s is the same style helmet worn by many of your favorite Giants players. The face mask is the same as was worn by Harry Carson, Lawrence Taylor, Carl Banks and Leonard Marshall. This is a must have for the "die-hard, back in the day" Giant fan.